Maybe Miss Spider’s eating habits aren’t so out of line after all. In the children’s books, Miss Spider eats only flowers, which in the past seemed unlikely because spiders were all thought to be carnivores. Now scientists have found a vegetarian spider. This spider is sneaky, however, because it eats food provided by plants that was intended for ants. 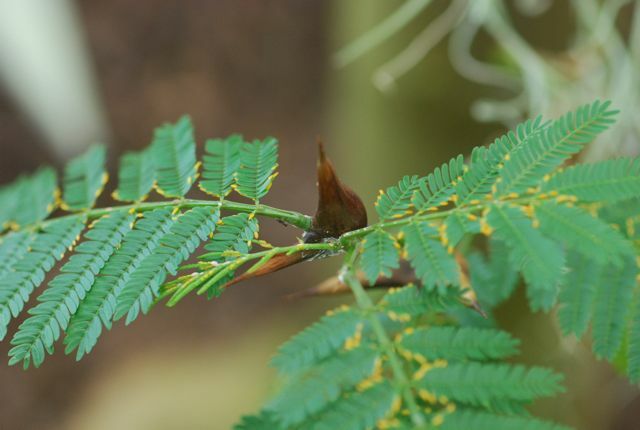 Acacia trees from Central and South America have a special relationship with acacia ants. 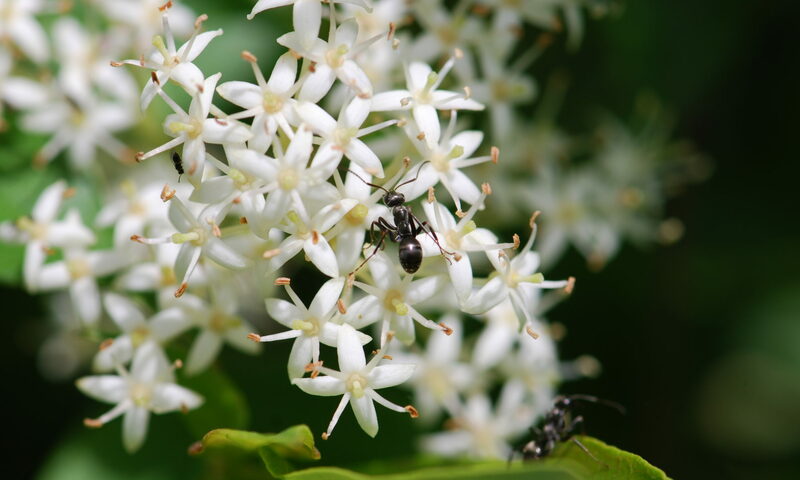 Simplistically, the plant provides food and a place to live in the swollen thorns, and in return the acacia ants ward off animals that might eat the plant. The ants also remove competing vines. Do you see the yellow structures on the tips of the leaves of this bullthorn acacia? Those are called Beltian bodies and they are loaded with protein. Normally ants take the Beltian bodies to feed to their larvae. Recently researchers have found a jumping spider that takes advantage of the relationship and steals the Beltian bodies to eat for itself. Tricky spider!